Our series looking at Digital R&D Fund visual arts initiatives continues with NetPark, a project instigated by Metal in Southend-on-Sea and produced by artist and curator Simon Poulter. 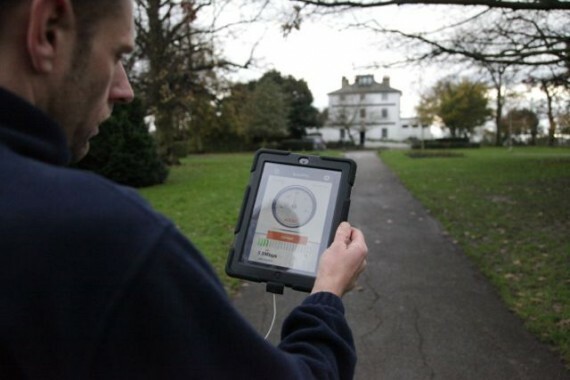 NetPark involves enabling free wi-fi in Southend-on-Sea’s Chalkwell Park and developing location-specific artworks for mobile devices. Home to Metal since 2007 (the arts organisation also has buildings in Liverpool and Peterborough), the park is a well-used local amenity. The addition of wi-fi coverage and art is about adding something extra – it’s not an attempt to reinvent the visitor experience. Operating from a renovated, four-storey Georgian house set within the park’s grounds, Poulter explains that as associate curator at Metal he’s been working on the project for over two years – a long period of research that pre-dates the organisation’s application to the Digital R&D Fund for the Arts. One of those people is Malcolm Garrett, the renowned graphic designer. Best known for his designs for bands such as Buzzcocks, Magazine and Duran Duran, Garrett’s other work includes numerous wayfinding projects. He’ll be advising on the overall design and the integration of signage, ensuring that visitors are aware of both the wi-fi and art commissions in the park. The researcher on NetPark is Dr Frauke Behrendt of the University of Brighton, who brings her extensive knowledge of locative media to the team. And perhaps most important to the delivery of the project’s creative ambitions is NetPark’s technical partner, Bristol-based developers Calvium. The company, which specialises in working with GPS, is the creator of App Furnace, a software engine for building iOS and Android apps. While Poulter isn’t necessarily looking for tech-savvy artists for the commissions, what is essential is a desire to engage with digital tools – and a willingness to work with people who may be a little bit on the geeky side themselves. Poulter is also keen to emphasise the iterative nature of the whole NetPark project; that the process of doing is also part of an important learning journey for the artists involved, as well the project itself. As well as delivering the NetPark artworks, the project will also create an open source toolkit that will provide a step-by-step guide to how it was all done. 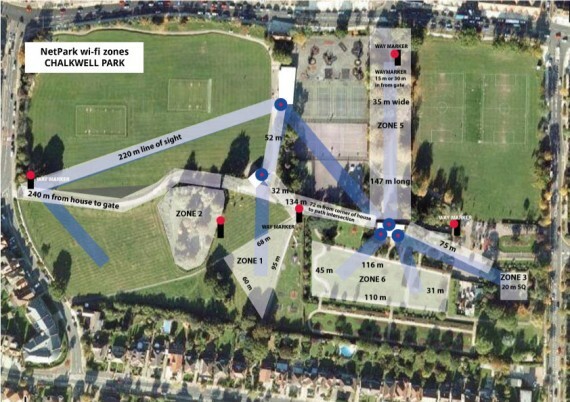 So, while conceived very much with Chalkwell Park in mind, it’s hoped that its impact will be felt even if you’re not a frequent visitor to Southend-on-Sea.